Friday | August 11, 2017	This month whips up dishes of comfort food close to your heart, from Chicken Teriyaki with rice to Sambal Hoki Fish with sautéed ladies fingers. 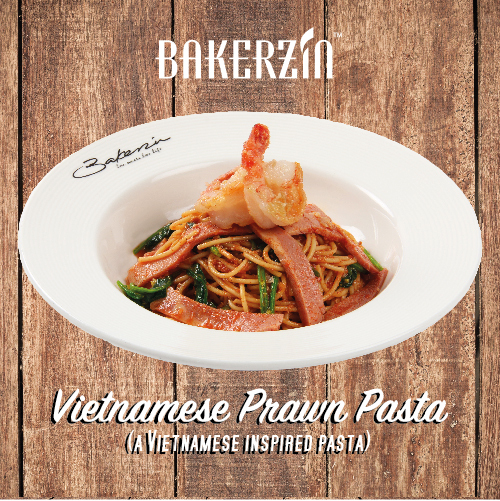 You may also wish to try the interesting blend of Cajun Cream Pasta with Jerk Chicken slices or the Vietnamese inspired, Vietnamese Prawn Pasta. All Mains are priced at $8.80 with selected outlets subject to prevailing government taxes. You may wish to top up for a drink or drink and soup at an affordable price. Available at all Bakerzin outlets except Maju Ave and Gardens by the Bay.